IPPB Recruitment 2018: Official Notification Out! IPPB or Indian Post Payment Bank Limited released official Notification to select eligible candidates to the post of Area Sales Manager, Area Operations Assistant Manager and Territory Officer on 15th December 2017. The Online Application for the same was invited from 15th December 2017. Candidates need to apply online for IPPB 2017. The last date to apply online is 5th January 2018. 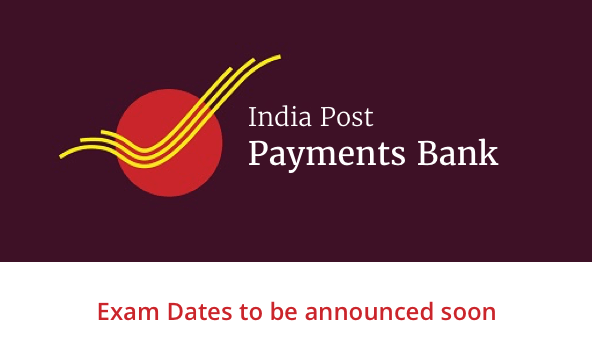 IPPB 2018 Notification has been released by Indian Post Payment Bank Limited. Tentative date for IPPB 2017 Preliminary exam is January 20th 2018 (Manager, Area Sales & Assistant Manager, Area Operations) and on 21st January (Territory Officer). The Online Application for IPPB 2018 started on 15th December 2017. Last date to apply online for the exam is 5th January 2018. Various vacancies has been created in different departments by IPPB to select candidates. Let's have a look at the detailed vacancy for the three posts for which the Recruitment Notification has been released by IPPB. The IPPB 2017 Exam Pattern is different for Manager and Assistant Manager and the Territory Officer. The maximum duration for which the Online Exam will be conducted is 90 minutes. • Awareness about POSB, IPPB and Payment Banks. • Awareness about Indian Economy, Banking and Financial Sector. • Basic Banking and Payment Awareness. To scale high in IPPB 2017 Exam, a candidate needs to have a proper knowledge of the Entire Syllabus of IPPB Exam. The syllabus of IPPB 2017 is quite vast and needs a proper preparation. Let’s have a look at the detailed syllabus of IPPB 2017. The applicant should have done Graduation from a University / Institution recognized by the Government of India. • For the position of Manager (area Sales) & Assistant Manager (Area Operations), the candidate should possess a minimum age of 20 years and maximum up to 40 years. • For Territory Officer minimum age limit should be equal or more than 20 years and maximum up to 40 years. The IPPB 2017 Admit Card will be released when the application form filling process has been completed. Candidates are required to download their admit card from the official site of IPPB, the link to which will be provided on this page. The Admit Card will be released 7-10 days before the commencement of each phase of the exam. Admit Card for IPPB 2017 Online Exam will be released separately for Manager & Assistant Manager and Territory Officer. Though the Final date of IPPB 2017 Result is not mentioned yet, but the candidates who’ll clear all the stages of selection process will get shortlisted and their names or roll numbers will be declared on the Official Website. The Cut-Off for IPPB 2017 Exam will be released once the exam for each phase has been conducted. Candidates can easily know their chances of getting selected after comparing their score with the Cut-Off list issued. The preparation of IPPB exam must be done magnanimously keeping in mind the latest pattern and the syllabus of the exam. It is necessary for the students to choose the right set of books to prepare for their examination as the syllabus of IPPB Exam 2017 is quite vast. Students must also go through previous years’ IPPB Exam question papers in order to acclimatize to the change in pattern of the exam and to know the sections from which the questions are majorly asked in the exam. Career Power Classroom Program is most extensive coaching program containing exhaustive course materials designed specifically for candidates preparing for Banking and SSC Exams. Out of every 5 students enrolled in our classroom program, 3 got selected for Banking or SSC jobs in 2015-2016. Career Power provides online test series for various banks and SSC exams like IBPS PO, IBPS Clerk, BANK PO, SBI PO, RBI, NABARD, SSC, CGL, SSC, CHSL etc. These test series are well researched and perfectly emulated for the exact exam pattern. Practice Papers are prepared keeping in mind the last years’ exam pattern and expected changes in the pattern and level of questions. Keeping in mind the IPPB 2017, we are launching various Test Series, Classroom Programs and Seminars to guide you through your preparations.